Cog·ni·tion (noun): a mental action or process of obtaining knowledge and understanding through thought, experience, and senses. It is how one reacts, processes, understands, stores and retrieves information. 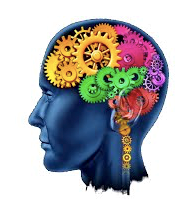 Cognition is critical for day-to-day life, allowing us to interact with our environment. 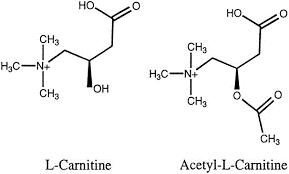 Acetyl-L-Carnitine (ALCAR) is an amino acid that is found in the brain and liver. Critical for energy production, acetyl-l-carnitine transports long-chain fatty acids into the mitochondria, which are then used for energy. It also helps transport toxic compounds out of the organelles to prevent accumulation. Acetyl-L-carnitine has many therapeutic uses, which include: age-related cognitive decline, neuropathy, Alzheimer’s disease, depression, Down’s syndrome, erectile dysfunction, fibromyalgia, and many more. The acetyl group that is part of acetyl-L-carnitine contributes to the production of the neurotransmitter acetylcholine. Acetylcholine is required for mental function. It helps your mitochondria, which are the powerhouses of all your cells, burn fat and create more energy. It is an anti-aging nootropic (“smart drug”), which helps your brain perform better. It also moves fatty acids (fuel) into your muscle mitochondria, which provides you with increased energy production and endurance. This makes your metabolism work faster and leads to more fat burn. Age-Related Cognitive Decline: Taking 1,500mg daily at the onset of age-related cognitive decline improved overall cognitive function in the elderly. Neuropathy: 500 to 1,000 g three times a day improves symptoms of diabetic neuropathy by improving insulin sensitivity in diabetics by decreasing fat levels in muscle and may lower glucose levels in the blood by increasing its oxidation in cells. Alzheimer’s Disease: Taking 1 g three times a day improved memory, enhanced overall performance and delayed disease progression. Erectile Dysfunction: 2 g in combination with propionyl-L-carnitine improved erectile function in elderly men. It also helped improve sperm quality, increased mitochondrial fatty-acid oxidation which gave more energy to the sperm and reduced cell death in the testes. Cognitive decline and dementia: In a two-month trial, depressed patients with dementia given 3 g per day experienced significantly greater improvements in mood and global cognitive functions than the placebo group. Anti-depressant: ALCAR given at a dose of 500 mg four times a day was just as effective and had fewer side effects compared to the antidepressants Prozac and Solian. Be patient, as you should start to see some benefits around 6-8 weeks. It needs time to build up in your system before you will be able to see any benefits from it.